You need to develop your dog’s social skills early in life to make every trip outside your home a positive experience for everyone. There is a direct relation between socialization and behavior. By not giving your dog any exposure to the world around him, he might end up developing behavioral issues that are difficult to reverse later on. The trick is to start early. You must not wait until your dog is all grown up before you try to correct any bad behavior. No matter how much work you put in, if you did not start early you are less likely to get any positive outcome for your efforts. 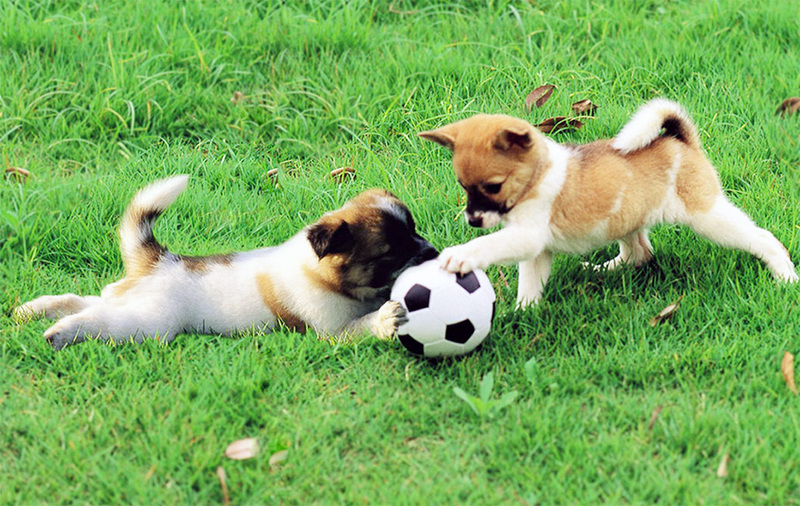 Enhance your dog’s social skills by introducing him to socialization as soon as possible. This is a crucial element to positive puppy development. It has been proven time and again, based on various studies, that puppies exposed to socializing become more behaved dogs later on. Sadly, many dog owners and breeders alike are not very much aware of this. They simply overlook the idea of socializing pups as early as possible and compromised their health and abilities in the process. Whether you are an existing dog owner or you are planning to get one for company, do not make the same mistake. Keep in mind that the situation is different at different pup stages and your pup’s ability to warm up to his environment may vary according to his age. For example, while a 4-week old puppy may only require a few minutes to initiate interaction with humans he first met, a 14-week old puppy may seem too frightened even if he kept on meeting that same person for an entire week in a row. Both are not yet introduced to socialization but obviously, the younger pup tends to be more approachable and trusting. As the puppy gets older, his apprehensions grow, making it more difficult to familiarize him to his environment. The first 16 weeks is crucial in puppy development. You must start as early as you can and be persistent as much as you can to work out your pup’s behavioral issues and address them one by one. Suffice it is to say, your work will be easier if you start on a young pup, at least before your doggie hits the 8-week mark. For the first two weeks after birth, your pup’s brain development starts and it is about the right time to introduce the first level of environmental stimulation. Do not mind if the pup still has less than five senses in full form. His brain development is already worked up during this time and movements in his environment, like how he is being handled or cuddled, helps speed up the process. Start by handling your puppy gently and then teaching everyone else around him to do the same. If you do this perfectly and regularly, your pup’s development may accelerate, helping him to cope with stress properly. After two weeks, your pup should be ready to take his development a level higher. It is around this time that his learning capabilities become expansive, allowing for more tricks and lessons to be absorbed. Since puppies are able to use all their five senses already, it is a good opportunity to stir up their abilities with constant stimulation. Motivate your pus mentally by introducing him to different sounds, sights, objects, and walking surfaces. In the first three to five weeks, your puppy is about ready to form his behavior. That means, this is your opportunity to introduce him to the world around him and make him practice positive responses to varying situations. Keeping your pup’s environment well organized is a key element. If it is poorly structured, you will risk him developing behavioral issues such as separation anxiety and hyperactivity. Your energy will be tested further as your pup steps into the next stage, which is between five to seven weeks. There are so much work that needs to be done at this phase, mostly because this is where you will prepare him for his new life – away from his mother and littermates. Dog experts do not recommend removing the puppy from the litter before arriving at this stage because it may result to bad behavior displays later on. Starting from eight weeks, your dog is about ready to join camps, such as the ones offered by Camp Bow Wow. Here, he will be introduced to an entirely different environment with different dogs, some are not even his own kind. This is also where several trainings may be started, including potty training, obedience training, and crate training. Dog socialization and overall development can be taxing. But pouring in as much work as is required proves to be beneficial. If you do everything right, your beloved pet will be more confident, obedient and happy in your home.